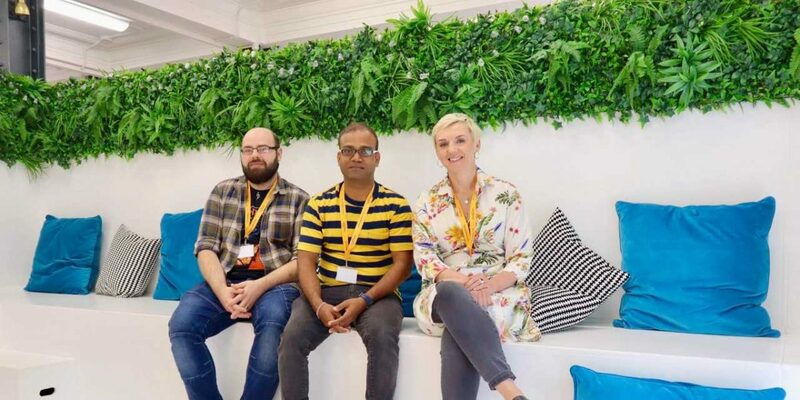 Interaction Design Agency, Orange Bus, has welcomed three new hires to its Newcastle office following a number of client wins. Sam Richardson joins the agency as a Customer Experience Consultant with 20 years’ experience working in customer experience across the UK. Sam joins the agency from Ember Customer Management Consultants and will help Orange Bus’ clients to improve their CX service strategies. Strengthening the company’s technical offering, is QA Engineer, Chandan Ray and Developer, Paul Skeates. Chandan is a certified software test analyst with over 7 years’ experience in manual and automation testing. Chandan previously worked at Accenture, where he helped clients automate their digital services using different types of testing and tools. Paul brings 7 years’ experience to the team and previously worked at Komodo Digital as a Senior Mobile Developer. Paul will be working collaboratively with Orange Bus clients to create apps using various different technologies. Orange Bus, has offices in Newcastle, Edinburgh, Sheffield and London, design and deliver digital solutions for large businesses and public service organisations globally. To find out more about Orange Bus career opportunities click here. This has been an outstanding year for us with exciting client projects going on throughout the business. To support these projects we’re adding the best talent to the team and the new hires are already proving to be great additions.